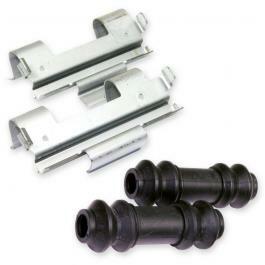 Each kit contains new hardware components for your specific vehicle. When installing Brake Pads, you should always check or replace the Hardware to ensure proper operation of your Brake Pads. Each kit is tested and guaranteed to fit your factory specific vehicle. Each kit comes with a lifetime warranty against materials and workmanship defects. 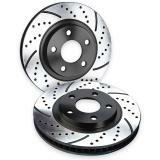 Designed and tested for each Brake Pad application. Brake Performance Brake Pad Hardware Kit is guaranteed to be the same fit and specifications as your and factory Hardware Kit. You can install the kit with no worries about factory fit or function. We recommend that you have a certified mechanic install them for proper fit and function. 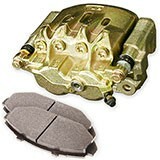 Recommended for any vehicle with Brake Pads. If you have any questions or need assistance choosing the correct Hardware Kit for your vehicle, call our brake experts toll free at 866-756-5536.